My abilities with search engine optimization are rudimentary. I understand the theory and the necessary information. I can use the Yoast SEO plugin, and I know the importance of content. I can also implement a simple keyword search before writing content to find the best angle to take with the article or blog. I currently manage blog and article content strategy for customers but managing the web traffic afterwards is not part of my purview. Regardless, I look for ways to increase web traffic. I have very little control, however. I can’t change their blog themes or upload speed. My one area of tweaking is in the content itself. TextOptimizer is perfect for my needs. TextOptimizer is designed to do exactly what it says – optimize your text. TextOptimizer is ideal because you no longer must, what they call, “publish and pray.” Now you have a better understanding of how your content will fair before you post it. Search engines break your content down by the various types of search intent (buy, go, learn, compare, etc.). They analyze your purpose through an intent table. Your resulting position in search results is determined by how well your content matches your possible intent. Using TextOptimizer, you upload your query (and optionally your written text), and the program extracts the intent table search engines use by utilizing snippets and semantic analysis to classify them. TextOptimizer then relays to you whether your content is optimized to the appropriate intent table and if not, the program recommends changes to make your content fit. TextOptimizer is a valuable web tool that analyzes your written content and informs you of its SEO potential. 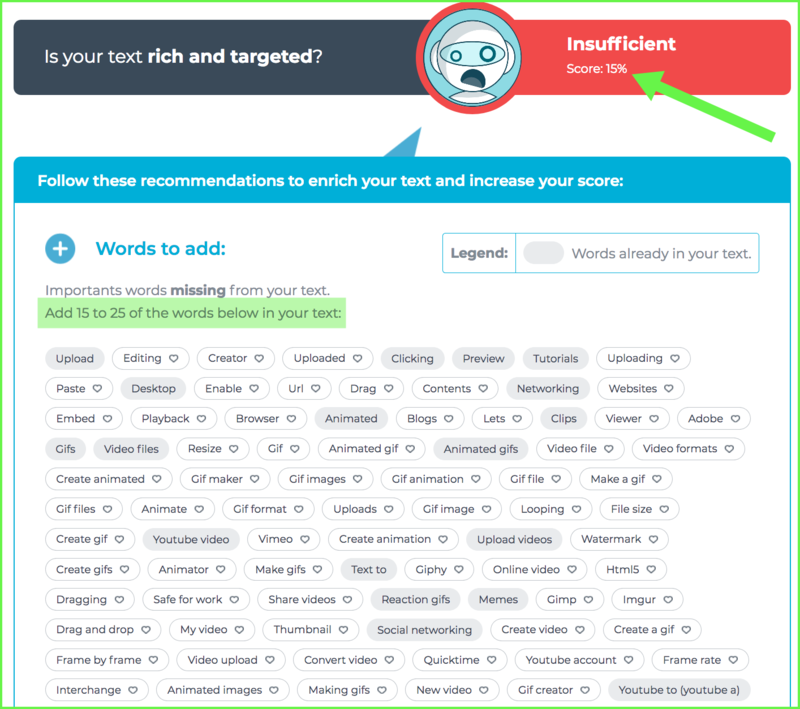 Using search engine intent tables, TextOptimizer tells you how well your text will rank in search results. The program gives constructive feedback allowing you to publish well-researched and optimized content that ranks well. TextOptimizer uses Google’s search result pages to scrutinize your core keyword. The tool extracts search snippets from your core search query and analyzes semantics to find other related terms and concepts from those snippets. Fundamentally, the web tool provides guidelines on how to write better content. Put in the keyword into TextOptimizer. Choose 20 to 25 of the words and insert them naturally to your text. You don’t want the article to sound awkward, so make sure you enter them as naturally as possible. The benefits of using TextOptimizer are that the program suggests terms, topics, and questions you might not think of on your own. This insight allows you to write better content not only for SEO but for your reader. TextOptimizer gives you the chance to improve the quality of your writing. The editorial suggestions can even provide new topics for future blogs and articles. 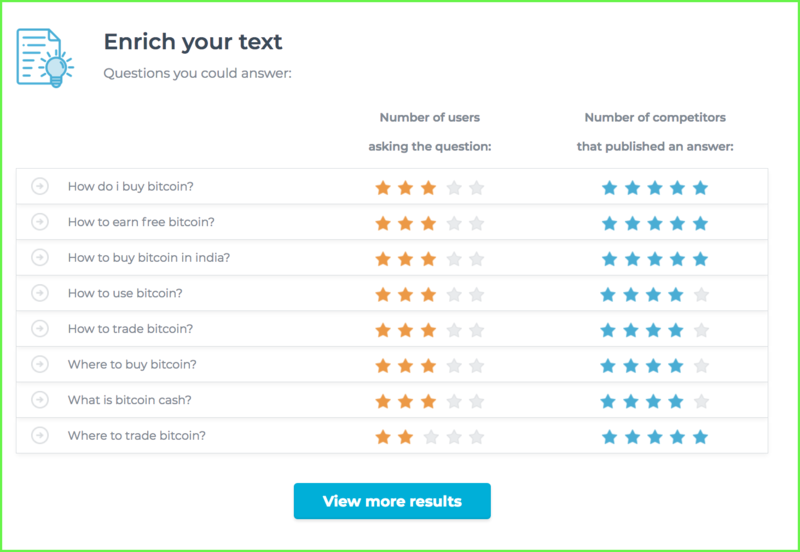 Does TextOptimizer Increase Rankings and Traffic? The simple answer is, yes. TextOptimizer, when used correctly, will increase your rankings and organic traffic. In my own experience, TextOptimizer increased organic search traffic within a handful of weeks. Couple TextOptimizer with regular content updates, social media awareness, and consistent blogs and your search engine visibility is sure to rise.